These products are getting a makeover inside and out! 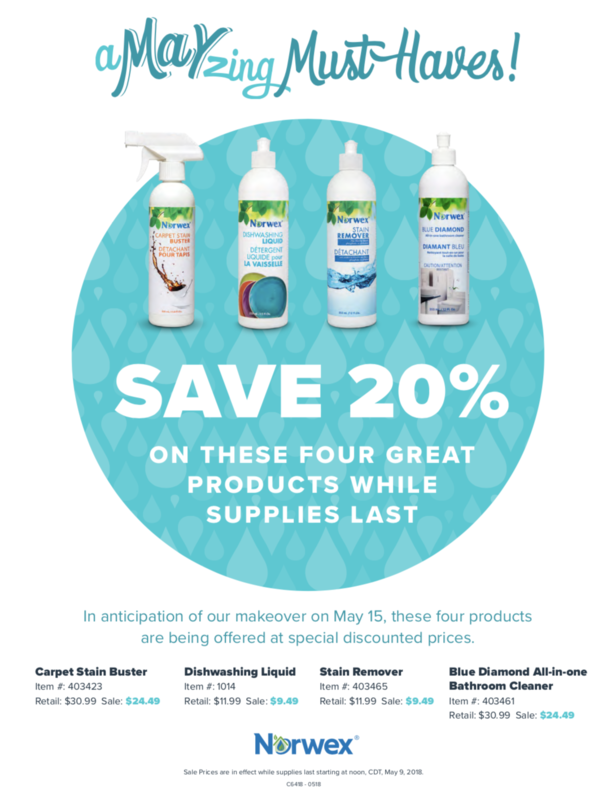 Save 20% on the Carpet Stain Buster, Dishwashing liquid, Stain remover (laundry), and Blue Diamond! Some of these products are discontinued because a new version/formulation has arrived. One of these that is very exciting is the reformulation of the Ultra Power Plus Laundry Detergent to now be certified as High Efficiency (HE). Come see the Reformulated Products here! 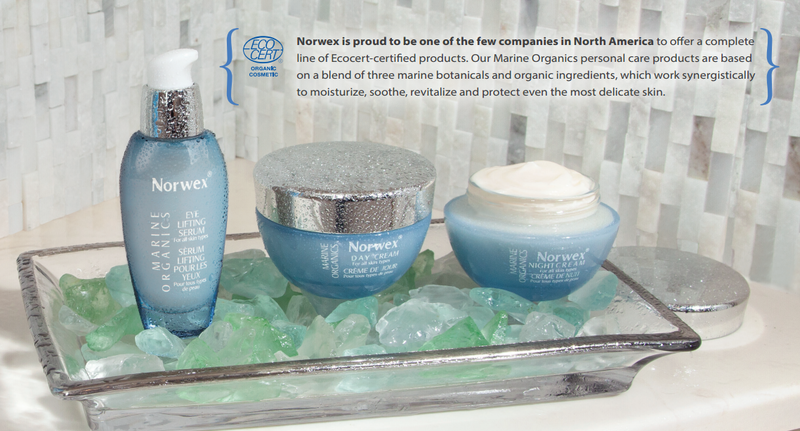 The Marine Organics Day Cream, Night Cream, and Eye Lifting Serum have been discontinued but will be available to order until supplies last. “Fresh Wash” will also be discontinued but is not available for purchase. This is a summary of the changes in the new 2012 Norwex Catalogue. There are price increases but also price decreases! 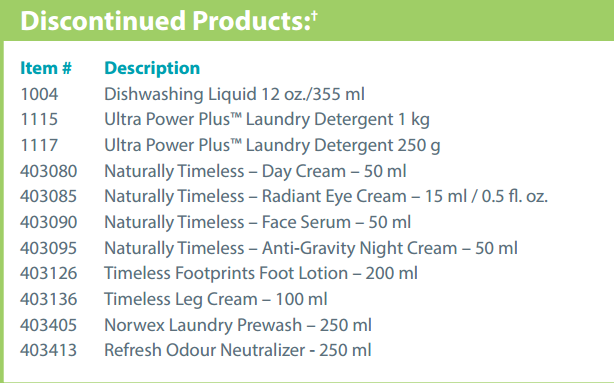 There are new packages and 1 new organic product added to the Naturally Timeless Line! Also, a few items have been discontinued but you can still get them if you order before Dec. 31, 2011.